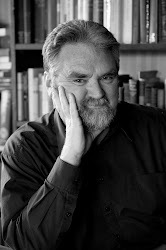 Nicholas Reid reflects in essay form on general matters and ideas related to literature, history, popular culture and the arts. You are free to agree or disagree with him. Sometime last week, the evening scene was my idea of perfection. The sun had just set. In my upstairs study, I was seated in my work-chair, reading. My wife was seated in the armchair, reading. From the large study window – which faces north-east – I was admiring the clouds. They were not a flashy sunset spectacle, but subdued, turning cotton-wool-grey in the twilight. Serene. As night fell, I took off the shelf Auden’s Collected Shorter Poems and began reading. With delight. Why was I so delighted? Because they were so urbane. So finished. So clearly poems from an age when good poets knew about structure, and what the rules were, and when and how the rules may be broken fruitfully but how they can never be ignored. Poems by a man who, fifty and more years ago, worked in a tradition he understood but was renewing with his own voice. After I’d read for a while, an evil and deluded thought formed in my mind. Recently, I’ve been reading new volumes of poetry that are hot off the press. Recently, too, I’ve been reading and sorting submissions to a poetry magazine which I am guest-editing. Some are good. Some are very good. But how many of them are tosh and tat. How few poets now know anything about form and structure. So, says the evil and deluded thought, poetry and culture in general have degenerated. The poets of this age are not a patch on the poets of fifty and more years ago. I should know. I’ve just been reading Auden. Fortunately, reason rushes in to correct this foolish thought. The proportion of tat and tosh to very good poetry (and culture in general) is probably no more now than it was in The Golden Age. The delusion is caused by the obvious fact that only the good stuff has survived and continued to a re-printed half a century or more after it first appeared. A poetry reviewer (or editor) in 1932 doubtless did as much whining and groaning as I do at the cliché-mongers and poetasters and talentless bastards who get into print (or try to). What we think of as literary culture is the tip of a publishing iceberg. Beneath the waves, where it should always stay, is the massed mediocrity that has not survived. Only time sorts out the worthwhile. All other critics should hold their breath until time has done its work. CODA: Seeing as I’ve mentioned it, you might as well savour Roman Wall Blues for yourself. One of Mr Auden’s pithiest. One of his neatest conjunctions of the colloquial and the historical. One of…. Oh blast this critic talk! Just read it and enjoy it for yourself. I've lice in my tunic and a cold in my nose. I'm a Wall soldier, I don't know why. My girl's in Tungria; I sleep alone. I don't like his manners, I don't like his face. There'd be no kissing if he had his wish. I want my girl and I want my pay. I shall do nothing but look at the sky. Roman Wall Blues is very good. It would be wonderful put to music. It has a kind of Winnie the Pooh for adults style to it. Or is that just the metre? I remember Roman Wall Blues vividly from a 4th or 5th form class back in the 60's - we read it on a rainy day, and for that class period I could feel the bored but dutiful soldier and myself coalesce. 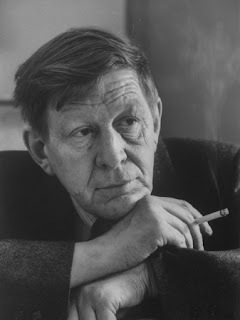 Auden really gets the sense of his subject daydreaming in the drizzle. Clever guy - he establishes the mood in so few lines.